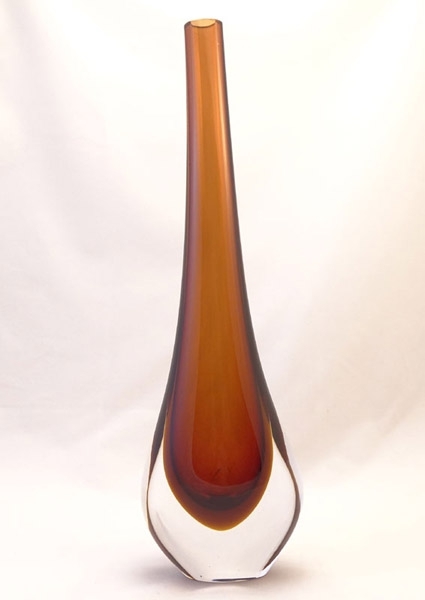 Murano Glass Vase Green/Topaz - Murano Glass - Murano Glass Gifts Co. 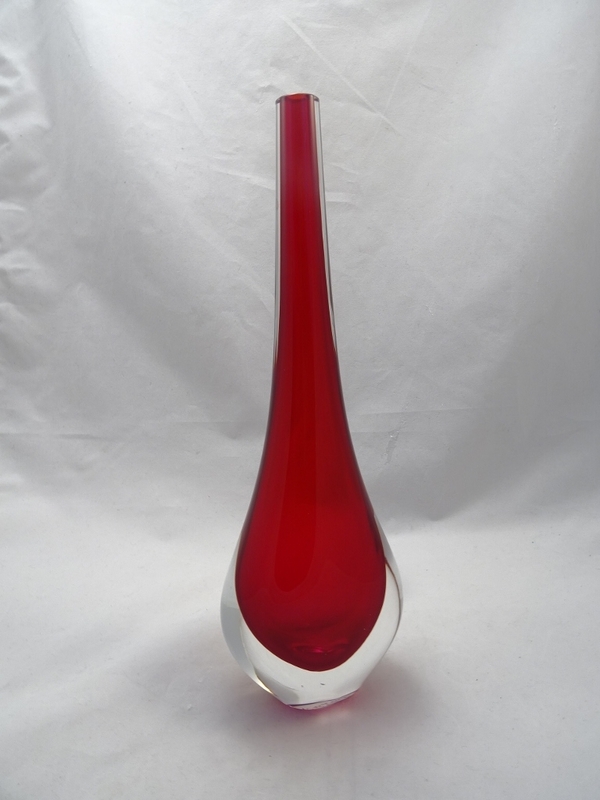 This a larger 16 inches height version of Murano Glass Drop Shaped Vase. 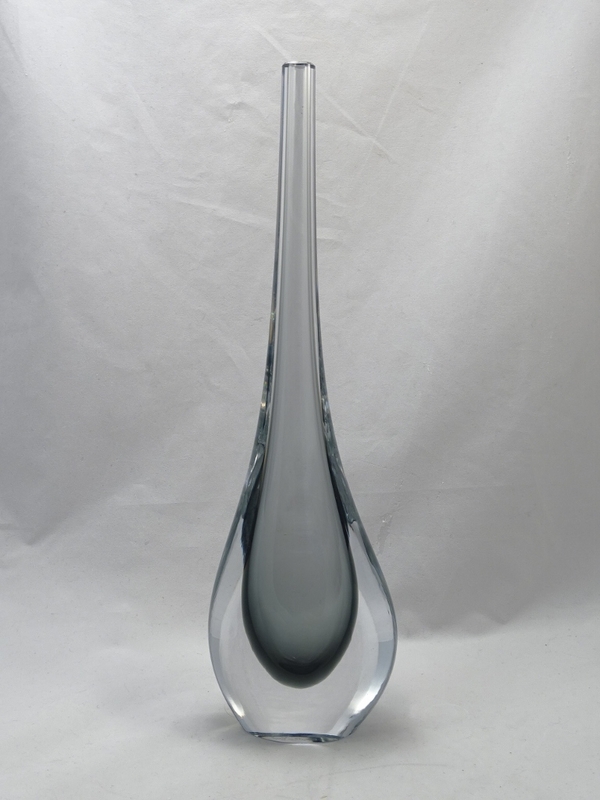 Very rear color combination: green, topaz and crystal clear. 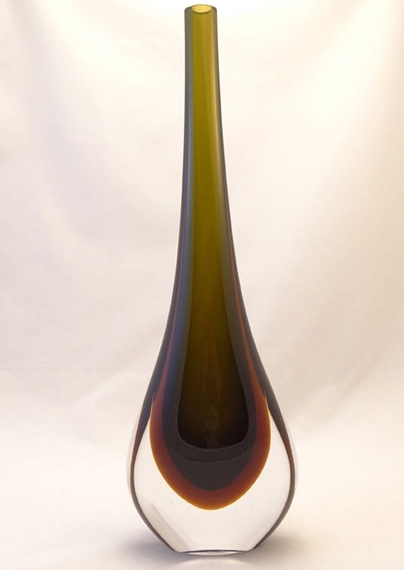 Crafted in old Murano Sommerso technique when green balloon is being blown first and than after the solidification inserted into the molten topaz glass and than into the clear crystal glass.